We are moving the g3 domain name to a new host. As a result, the subdomain - forums.gibberlings3.net - wasn't working properly because we need to get the host to point to it properly so we aren't getting incorrect links. The forums and downloads should be up for now. You might see some images or avatars missing but that should be fixed soon. The IESDP was also moved to gibberlings3.net/iesdp, so if you click the link in the main page it fails to send you there (it goes back to the old domain which doesn't exist anymore). I was checking "Download now" button from gibberlings3.net/romanticencounters (to check that only RE downloads would show, and not BG1 RE downloads), but instead of the download page, I was routed to http://gibberlings3.net/forums/ - no download. EDIT: same with "forums" link. Readme link works, though! The problem for downloads seems general: when I clic on Donwloads at the top of the site, or download center in the last announcement, I go to forums page. Good to know that things are starting to work once again. May I ask if you can activate my account, given the fact I received no authorization email? Here forums.g.net still redirects, so all existing links end up pointing to the front forum page. When I made google searches the links to forum topics would redirect to the homepage instead. Yes, either a redirect rule is missing (for the same result as before) or incomplete (not passing parameters for a new scheme). I obviously can't help through the forum, but it'd be a shame to take a SEO hit due to all the links going into the same black pit. 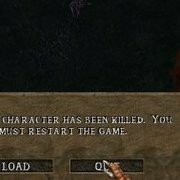 I can confirm that BG2 Tweaks is broken. I just tried to download it to install it on BG2:EE v 1.3, and the "download now" button just throws me into this forum.